1 3/8" = (35mm) Wide. 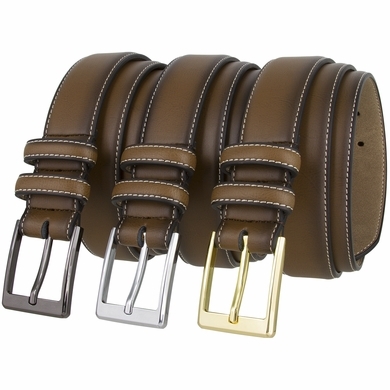 The belt comes in three different colors that you can choose such as gun metal, nickel plated and gold plated. Two matching loops. Material: Man made synthetic leather. Stitched on by the buckle.